Request Who is this character? Discussion in 'General Chat' started by SageRozenburg, Apr 15, 2019. This character seemed familiar, any one knows who this is? im thinking its from a game. otaku31 and Kalto like this. Seconding it. Even though i don't have the games, she indeed looks like this character. You mean this? Look similar, but the clothes doesn't seem right. TianKrea and nightcore34 like this. youtube sameple, also known as alicia solid. 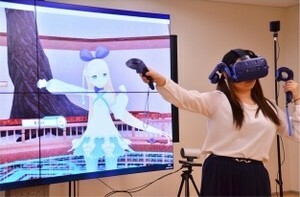 My 1st thought when I saw this was "A new Vtuber model?". Well, closed enough.